I could spend millions and millions of £££ on clothing for Zach. Baby clothes are just the cutest and I love dressing him up every day! The fact that babies grow out of their clothes so quickly is a both a pro and a con in my eyes. Although they don't get a lot of wear out of their clothes it means that I am constantly able to update Zach's wardrobe and get him new cute clothes with every season. Above are the clothes I currently want to add to Zach's growing stash of 3-6 month outfits. My only annoyances when it comes to baby clothes though are the price and the small selection of boys clothes compared to girls clothes. There is always so much choice for girls and a teeny tiny section of boys clothes. Hopefully retailers will start to design and make more boys clothes. Saying that, I did think it would be hard to find cute boy clothes because I assumed that they would all be pretty boring, but actually there are so many adorable things for little baby boys! 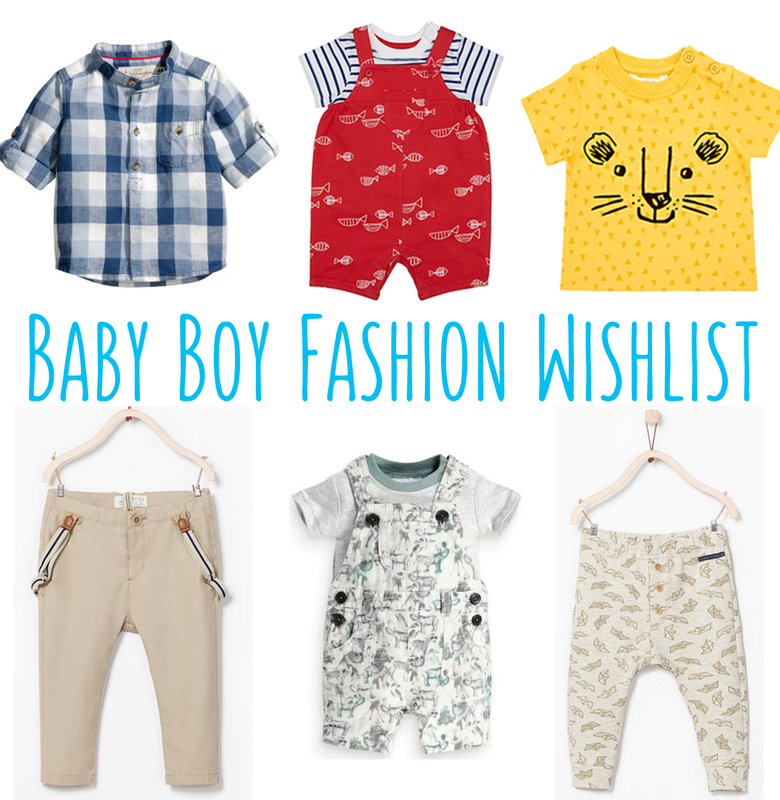 What is on your baby clothes wishlist?